In view of climate change and the needs of the energy reform, it has become particularly important to significantly increase the efficiency of organic solar cells. In a process known as ‘singlet fission’, one photon simultaneously excites two electrons. If this effect can be exploited, it may well be possible to dramatically increase the power generated by solar cells. Physicists and chemists at FAU collaborating in an international joint project with Northwestern University in the USA have successfully worked out all the decisive intermediate phases in the singlet fission process and have managed to describe the mechanism in detail for the first time. The results have been published in the leading specialist journal Nature Communications (DOI: 10.1038/ncomms15171). Molecules that are stimulated by light reach a higher level of excitation; this means that the corresponding energy can be used in organic solar cells to generate an electric current. When a light particle collides with and is absorbed by a molecule, it is possible that the surplus energy created in that one molecule could stimulate an electron in a second molecule in its immediate vicinity. As a result, both these molecules would contain an electron in a higher state of excitation. This process is called singlet fission (SF) and it could, in a best-case scenario, lead to a 50% increase in solar cell performance. However, the generated energy is not retained by molecules for ever and the molecules will eventually return to their former state. The principle behind SF has been known for 50 years, but its exact mechanism is still not fully understood. That is why the researchers based in Erlangen have closely analysed every intermediate phase between molecule stimulation and return to original state. 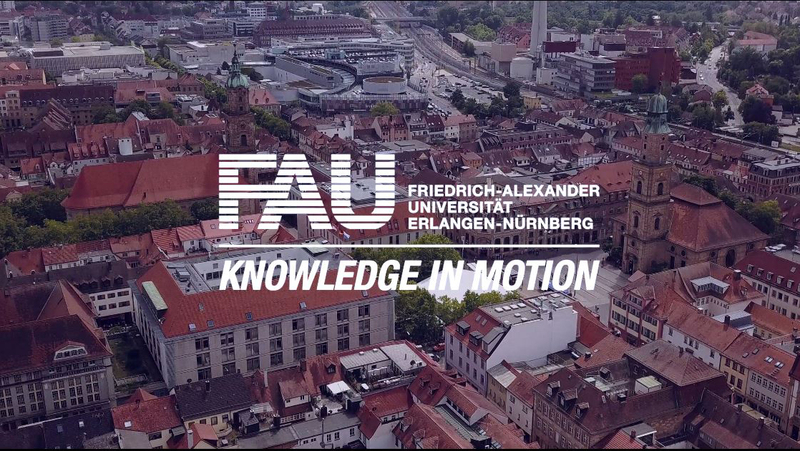 Working together with international researchers, the team at FAU under Prof. Dr. Dirk M. Guldi (holder of the Chair of Physical Chemistry I) used two different methods to identify the individual phases. As all processes that occur inside a molecule after its excitation take place at very high speeds, spectroscopic methods have to be employed to provide time-resolved insights into the individual phases following stimulation. Using spectroscopy, the researchers first looked at how the absorption properties of molecules changed during the deactivation phase. Certain transitional phases known as intermediates leave behind ‘fingerprints’ that allow these to be clearly identified. Some intermediates, however, have identical absorption properties, which is why it is necessary to use a second method for analysis – in this case electron spin resonance spectroscopy. This is because some of the intermediates differ with regard to the spin of their stimulated electrons. By using these two methods in tandem, the FAU team successfully managed to identify all of the intermediates and develop a standardised model of what happens in SF. The researchers hope the results of their work will make it possible to take a more targeted approach to molecule design that in turn will make feasible the production a solar cell that operates on the basis of the singlet fission principle.